Using an 11 year time-series of data, the findings create a snapshot of how plankton communities have changed and shows that the patterns of change differ spatially in UK waters. 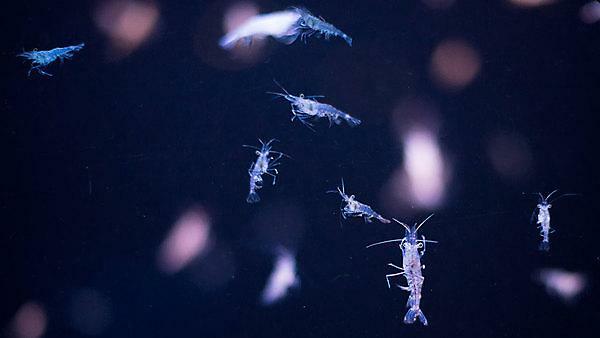 Writing in the Ecological Indicators journal, researchers say the study offers an important preliminary insight into the status of the plankton, which play a pivotal role in the health of our seas. The study was conducted by a network of world-leading scientific institutions and government bodies, led by the University of Plymouth, and also including: Plymouth Marine Laboratory; National Museum of Natural History, France; Environment Agency; Marine Scotland Science; National Oceanography Centre; Centre for Environment, Fisheries and Aquaculture Science; Scottish Association for Marine Science (SAMS); The Marine Biological Association; Agri-Food & Biosciences Institute; Trinity College Dublin. In the UK and the Northeast Atlantic region, changes to plankton functional groups – or ‘lifeforms’ – is the formally accepted policy indicator used to assess Good Environmental Status (GES) for pelagic habitats under the Marine Strategy Framework Directive (MSFD). Initially adopted by the European Union in June 2008, the legislation was updated in 2017 to give clearer guidelines as to what countries should do in order to achieve GES for European waters by 2020. This study forms the foundation of the UK’s 2020 MSFD assessment for pelagic habitat biodiversity and food webs. It was supported by funding from Defra, NERC and the devolved administrations in Scotland and Northern Ireland, and builds on Defra’s Lifeform and State Space project, which was led by the Agri-Food and Biosciences Institute in Northern Ireland and completed in 2015. This is the first time the plankton data – collected by methods ranging from sampling by nets, water bottles, integrating tube samplers and the Continuous Plankton Recorder, all as part of the UK plankton monitoring programme – has been used in a national assessment. “The value of plankton cannot be overestimated and the scientific community recognises this. Policy makers are also starting to, thanks to legislation such as the MSFD, but it’s vital we all appreciate the critical role plankton play in the marine ecosystem and why it’s so important to monitor them and understand their dynamics. The full study – Plankton lifeforms as a biodiversity indicator for regional-scale assessment of pelagic habitats for policy by McQuatters-Gollop et al – is published in Ecological Indicators, DOI: 10.1016/j.ecolind.2019.02.010.